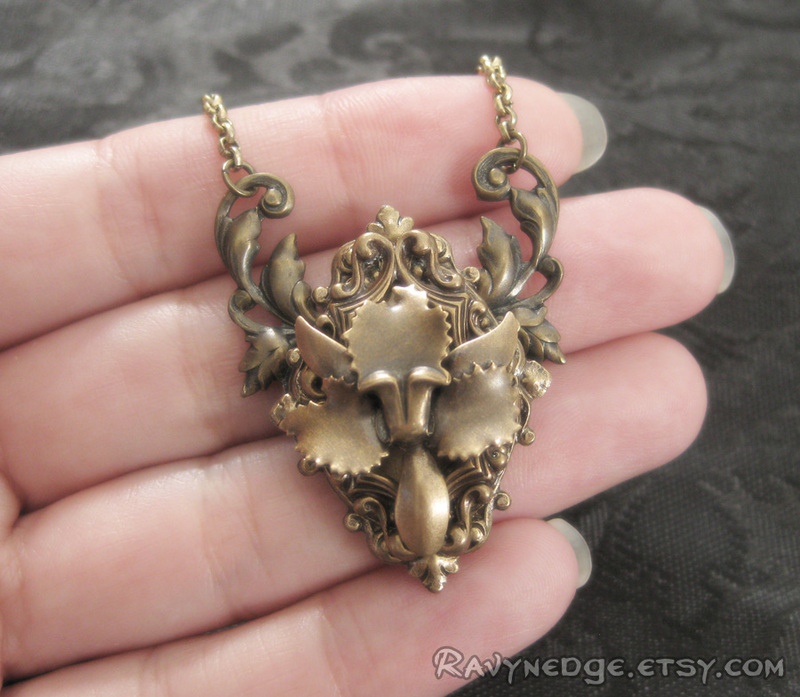 Obsession Necklace - Brass Filigree Orchid Pendant by RavynEdge. Orchids are the obsession of many people. 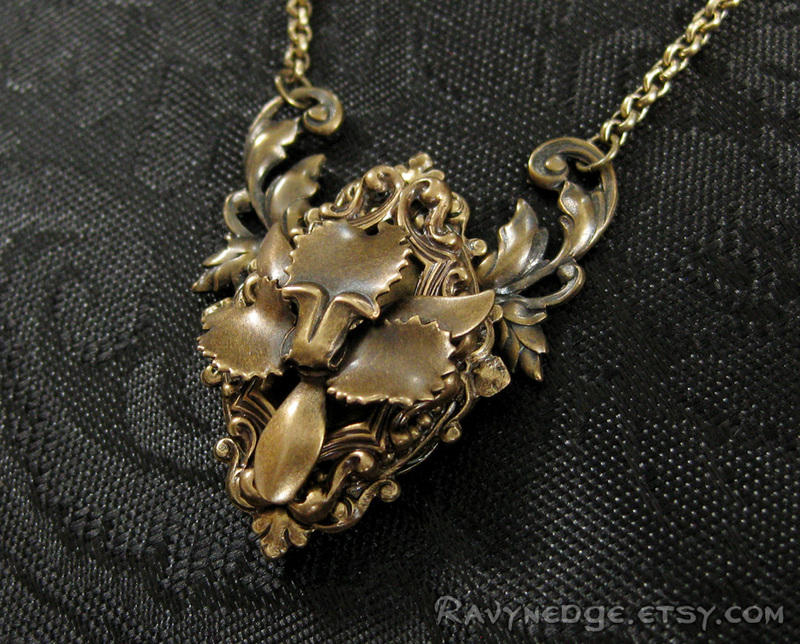 How appropriate that this stunningly detailed brass orchid is set like a prized trophy arranged in layers of ornate filigree. The elegant rolo chain is accented with beads of jonquil satin Swarovski beads. 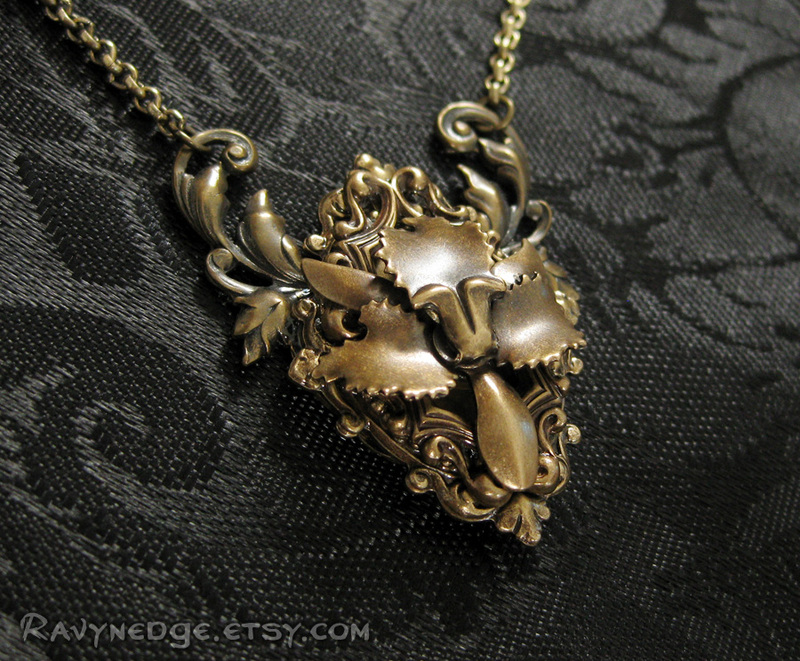 All metal is brass with an oxidized finish to give that wonderfully romantic and gothic look with a vintage appeal! 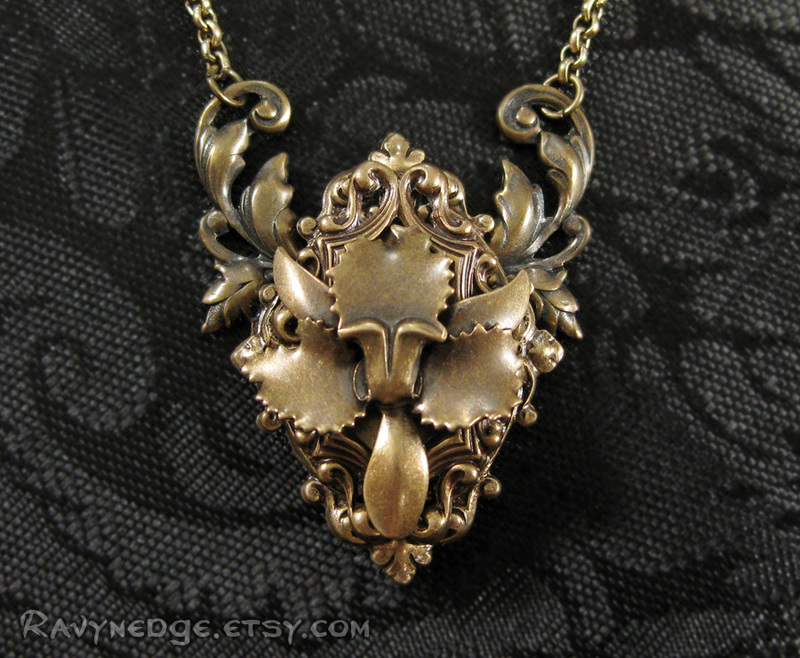 The pendant measures approximately 1.6 inches (4.1cm) tall and 1.26 inches (3.2cm) at the widest point. 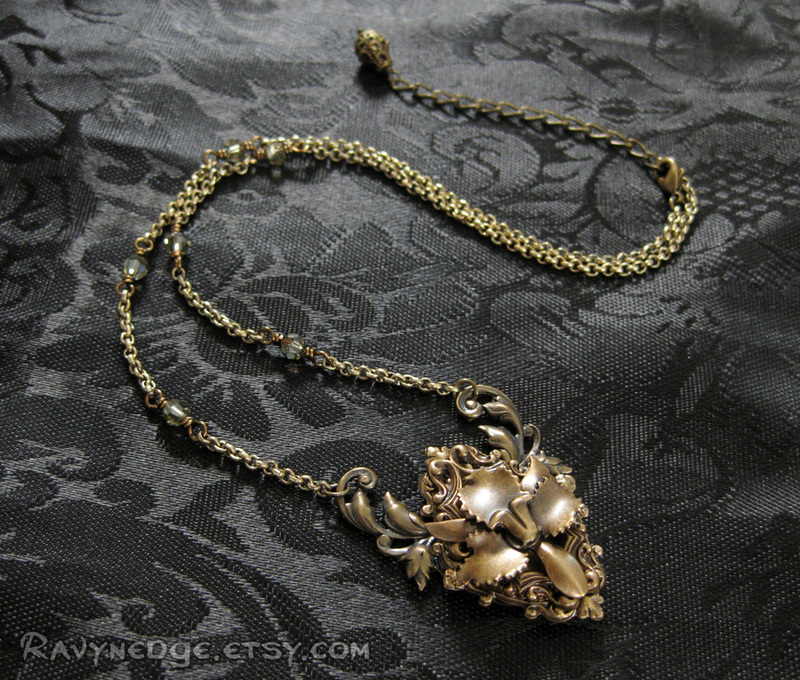 The brass chain adjusts from 16 to 18 inches (40.6 to 45.7cm) and closes with a lobster clasp.